The VW bug is a go-to platform for DIY vehicle mods. Its light, its simple, and its cheap. 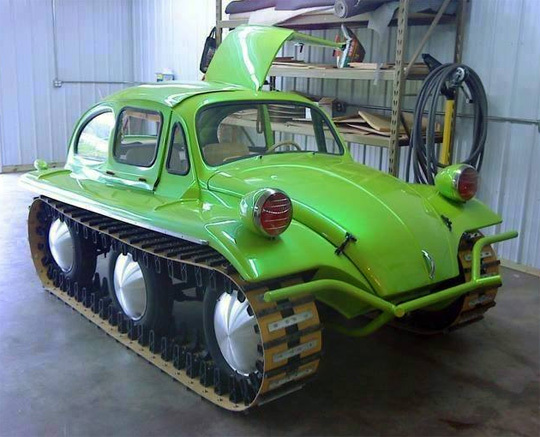 Here is an example of a bug with tracks fitted with an extra axle, gullwing doors, and track covered extensions. I like the home made tracks, too -- metal stock bolted to a length of continuous conveyor belt and inner cleats to grip the rubber tires.